Volvos are built with safety in mind. Volvo original parts are manufactured to work in synch for maximum efficiency. Purchasing your Volvo brakes from us gives you the peace of mind that you’re getting the right brakes every time. Aftermarket manufactured brakes may lead to increased noise and brake dust over time, and their brake rotors may warp more easily. Four-wheel discs and ABS are found on Volvo brakes as standard safety measures, ensuring that stopping distances are as short as possible and you can brake when it counts the most. Get in contact with Volvo Cars New Brunswick’s service specialists to ensure your vehicle has the best parts possible. Having the proper tires can impact your Volvo’s handling and safety. In cold temperatures, winter tires provide more stability than all-season tires and are designed with tread patterns that can provide more resistance on slippery surfaces, keeping you and your Volvo on the road. Winter tires are wider, providing superior braking, steering control and traction when you need it most. These advantages kick into gear at 7 C, so even on cold autumn mornings a driver with winter tires will have a smoother ride. 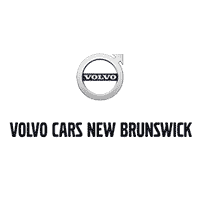 Volvo Cars New Brunswick has the brands you want. Contact us to book your appointment early. Volvo owners don’t let weather get in the way of their plans, and neither did the builders of the safest vehicles on the road. Volvo Cars New Brunswick’s factory trained technicians are fully certified to repair your Volvo vehicle to original specifications. Our Volvo Service specialists use the latest diagnostic tools and repair techniques to help you winter-proof early in the season and prepare for whatever Mother Nature can throw at you. Face tough driving conditions by taking note of a few key winter tips and get the most out of authorized Volvo parts and services that will keep you on the road this winter. The traction provided by winter tires enhances the performance of anti-lock braking systems (ABS), vehicle stability assist (VSA), traction control and all-wheel drive in winter conditions. In cold weather, a vehicle equipped with winter tires has a 40% less chance of being involved in a collision versus one equipped with all-season tires. Bring your vehicle intoto have your current tire tread checked for seasonal wear. A well balanced Volvo makes your winter ride smoother and safer for everyone on the road. Tire pressure often goes unchecked between the seasons, with up to 70% of vehicles on the road having at least one under-inflated tire. Studies have shown that checking and maintaining tire pressure regularly will help extend tire life and reduce fuel consumption. Every time you check your Volvo’s tire pressure, examine the tires for damage, foreign objects, and wear. Continuing a regular factory maintenance schedule can help keep your tires in check and prevent larger costly problems from occurring. Radiators need to work their best through the long winter months. Necessary coolants protect against freezing so regular antifreeze checks become one of the most crucial parts of the winterizing process. Coolants also protect against corrosion and help lubricate your water pump all year long. Thoroughly flush the radiator system for maximum efficiency when it’s time to replace coolant. Your battery loses power when the temperature dips below freezing. To prevent power output drops, batteries and connection cables should be checked for cracking and corrosion regularly. It only takes seconds and can prevent cold winter stalls. Genuine Volvo replacement batteries are manufactured to match your Volvo’s electrical system specifications and power your Volvo through the seasons. The car interior heating up and cooling down during winter can create moisture build up in your doors, freezing the seals to the doorframe. Newer vehicles are protected by tight weather stripping, but a winter check-up is necessary to ensure that all parts of your vehicle are in working order. Schedule a check up with Volvo Cars New Brunswick service specialist before the first snowfall today! It’s a good idea to keep a winter survival kit in your vehicle. Having essential supplies can provide some comfort and safety for you and your passengers should you become stranded. Some items could include are jumper cables, flash lights, first aid kit, road flares, blankets or a shovel.